Even with the newfound popularity of the Mixed Martial Arts (MMA) and Ultimate Fighting, the latter of which presented a December 30 pay-per-view extravaganza from Las Vegas that was headlined by Chuck Liddell vs. Tito Ortiz, 2006 was a pretty decent year for boxing. While the self-absorbed Floyd Mayweather continues to win, his inability to understand that boxing is as much about entertainment as it is displaying one’s vast skills has made him a source of perpetual disappointment. 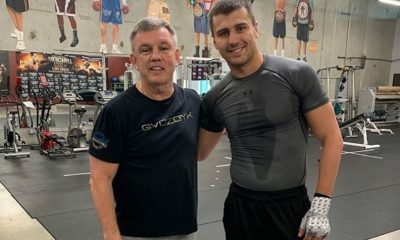 At the beginning of the year, Sergei “The White Wolf” Liakhovich was a little known heavyweight from Belarus who had moved to Phoenix, Arizona, and was toiling anonymously in the vast Don King stable for years. By April he was one of the most talked about heavyweights in the business. Using his quicker hands, engaging in powerful exchanges, and displaying an unyielding determination, he won a unanimous decision over the harder punching and heavily favored WBO champion Lamon Brewster in Chicago. To Liakhovich’s surprise, and the disappointment of fans, lightning couldn’t strike twice for him. He was shockingly knocked out in the final second of his first title defense against Shannon Briggs in November. Making things worse for him was the fact that had he hung on, he would have won a decision and retained his title. Although Liakhovich has protested the stoppage, citing the fact that because he was knocked out of the ring he should have been given 20 seconds to climb back in, whatever momentum he had going for him seems to have dissipated. For the nearly all 12 rounds that the fight lasted, Liakhovich was listless, distracted and seemingly disinterested. It is rare that rematches of great fights live up to the originals, but light heavyweights Tomasz Adamek of Poland, who won the vacant WBC title with a sensational majority decision over the hard-punching Australian Paul “Hurricane” Briggs in May 2005, disputed that notion in another wild slugfest in October. 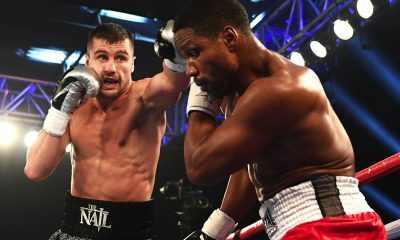 Although the Pole was knocked down in the first, and had a point deducted in the ninth round for a low blow, he won a hard-fought and well-deserved majority decision. 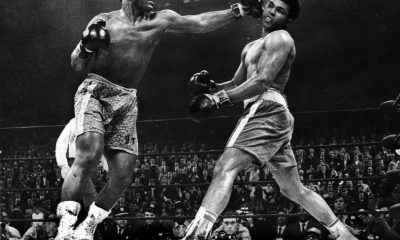 If these two bombers fought 10 times, chances are that all ten bouts would be ebb-and-flow battles that would bring the ringside crowd to its feet. Manny Pacquaio has long been the most popular athlete to ever hail from the Philippines, but he is quickly becoming one of the most popular fighters in the United States as well. He has already scored two sensational knockout victories over the once great Erik Morales, the latest of which was a third round blowout in November. Earlier in the year, he won a lopsided 12 round decision over Oscar Larios. Pac-Man is such a cash machine, promoters like Bob Arum and De la Hoya are currently engaged in a nasty court battle for his services and Don King was compelled to put out a December press release to deny rampant rumors that he was trying to steal the wunderkind. Although Carlos Baldomir lost his WBC welterweight title by unanimous decision to Mayweather in November, the granite-jawed Argentinean still had a marvelous year. Despite a nominal 41-9-6 (12 KOS) record in January, Baldomir, who was known as the consummate road warrior, hit New York and totally outfought local product Zab Judah at Madison Square Garden to win the crown. Six months later he defended the title with a savage ninth round knockout of Arturo Gatti in Atlantic City. Gatti had been selling out Boardwalk Hall in that city for years. 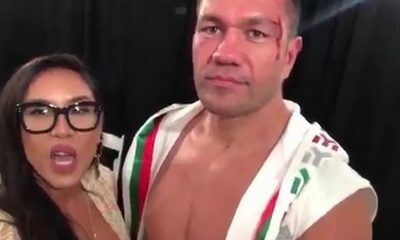 One of Baldomir’s cornermen, Sean Gibbons, said that in the hours leading up to the Gatti fight, Baldomir was loose as a goose. Baldomir was equally calm and cool against Mayweather, even though he stood virtually no chance of winning. That didn’t stop him from trying for every minute of every round. Although beaten handily, he was in as good of a mood at the end of the bout as he was at the beginning. Baldomir, who had subsidized his boxing income as a street vendor in Argentina for much of his career, gave hope to all of the little guys in boxing who travel on short notice for small purses. He also gave the cynical boxing press, who fell in love with him after he beat Judah, something to smile bout. Baldomir is like the little engine that could. Even if he never fights again, the mark he left on boxing is indelible. He is a true Cinderella Man. The Liakhovich-Briggs fiasco was about to go down as one of the worst heavyweight title fights in history. 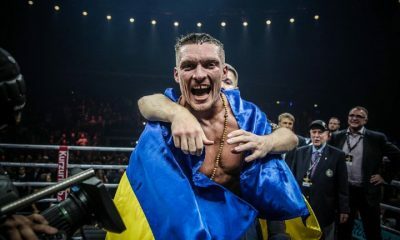 However there was a measure of redemption when the asthmatic Briggs scored a sensational knockout of Liakhovich at 2:59 of the twelfth and final round. Unfortunately, many viewers didn’t get to see the grand finale because they had already been put to sleep by the previous inaction of the participants. It was hard to watch Liakhovich, who had been so mobile and active against Lamon Brewster earlier in the year, look so dispassionate against Briggs. Amazingly, Briggs, who most people view as a good three round fighter, found the emotional resolve and the physical strength to pull this one out down the stretch. It is always memorable when an athlete snatches victory from surefire defeat with just seconds remaining in a contest. While Pacquaio’s third round blowout of Morales in November was unforgettable, Colombian middleweight Edison Miranda’s first round destruction of once-beaten Willie Gibbs a month later in Florida was even more thrilling. 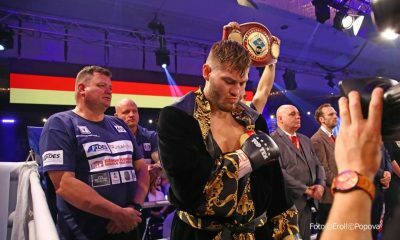 The 5-foot-11 Miranda, who had lost a decision to IBF middleweight champion Arthur Abraham in his previous outing, scored the knockout on HBO’s final telecast of the year. 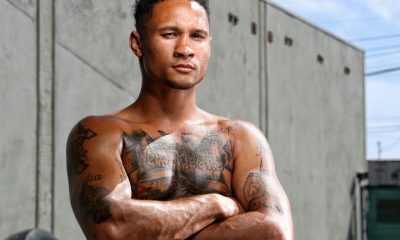 With a record of 27-1 (24 KOS), he has established himself as one of the sport’s premier punchers and a top-flight attraction. With the power of HBO behind him, his career potential seems limitless. Zab Judah planned on using Baldomir as a warm-up for a $5 million payday against Mayweather. Although Judah had every imaginable advantage going into the fight, the rugged Argentinean refused to follow the script and totally out-hustled the over-hyped former champion. It was refreshing to see such a likeable, honest and down-to-earth fighter humble such an arrogant and bombastic champion. 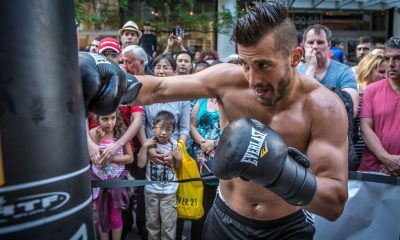 Every one expected the heavily muscled and highly touted American Jeff Lacy to walk through long reigning WBO super middleweight champion Joe Calzaghe in March. Little did it matter that the fight was taking place in Calzaghe’s adopted hometown of Manchester, England. Instead, Calzaghe won every round en route to scoring a unanimous decision. Besides destroying the Lacy myth, he proved that he was much more than an overprotected European product. Having shown himself to be an extremely sore loser, it is doubtful that Lacy will ever regain the formidability that he enjoyed prior to this defeat. A 2004 Olympic silver medalist, the 5’10” junior welterweight Amir Khan is 10-0 (7 KOS) as a pro. Now promoted by Frank Warren, he was one of the most highly touted European amateurs in history. 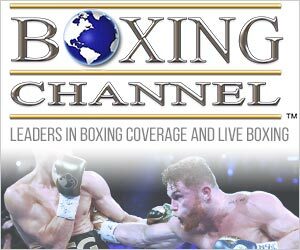 Khan will be showcased in an HBO special attraction on the undercard of Calzaghe’s 20th WBO title defense against Peter Manfredo Jr. in Wales in April. Chances are that on that evening, a new international star will be born. Trainer Emanuel Steward is not known to stretch the truth, so his calling middleweight Andy Lee “a white Sugar Ray Robinson” counts for something. Lee, an Irishman who now lives and trains with Steward in Detroit, is a southpaw with a 6-0 (3 KOS) record. Steward is already beating the drums for a future date against New York-based Irishman John Duddy in an all-Celtic showdown. Should both fighters remain undefeated until then, Steward believes that bout has the potential to be the highest grossing fight in history.